Having wiped the dust in his eyes after watching ‘Furious 7’, Fikri Jermadi wonders why it was there to begin with for many people. First, the numbers. 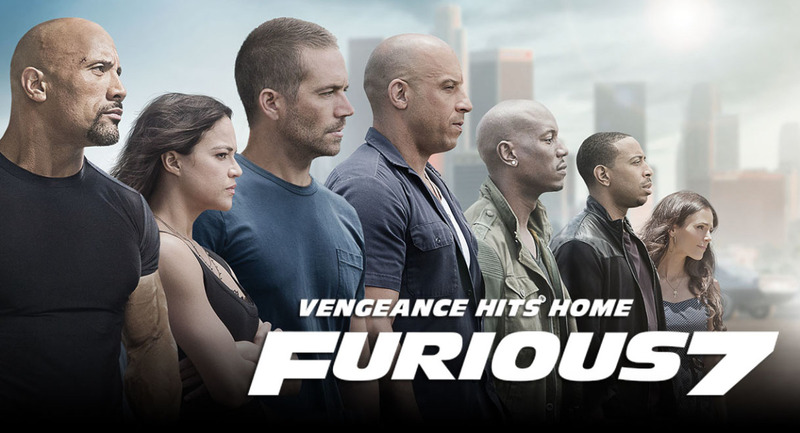 ‘Furious 7’, the latest instalment in the ‘The Fast and the Furious’ film series have made a lot of money. At the time of writing, it has managed to collect over $800 million dollars worldwide. In the United States, it made in two weeks what ‘Fast and Furious 6’ made in its entire box office run; its first day of release collected more money at the cinemas than the third instalment, ‘The Fast and the Furious: Tokyo Drift’, ever did. Simply put, it is a moneymaking juggernaut, and there are a few reasons for this. The franchise has built steadily over the past few films. Despite the third film ‘Tokyo Drift’ being the lowest-grossing entry, I’d argue that it was the most important, for it kickstarted the grander vision held by director Justin Lin. On a more socio-political level, it further established to establish the unique credentials of the film. Lin himself is an Asian-American, and the majority of the main performers are officially defined as non-Caucasians. That variety extends to the locations. Though this is not a unique approach, packing passports and applying for visas to Japan, Mexico, Brazil, England and the United Arab Emirates have paid off big time. The selection of international and crossover stars like Joe Taslim, Gina Carano, Ronda Rousey and Tony Jaa made it more intertextual, too. The focus has always been on the mainstays, though. Steady addition of popular performers such as Dwayne Johnson (who already has a built-in fanbase), as well as developing further supporting characters like Han (Sung Kang) and Roman (Tyrese Gibson), made them more relatable to us. 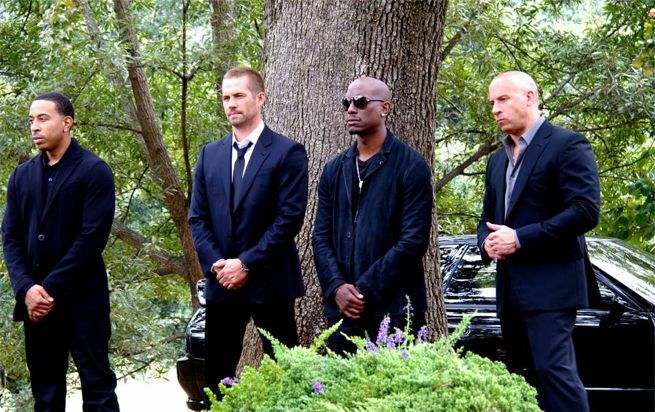 Anchored on and off the screen by both Vin Diesel and the late Paul Walker, I believe that the characters themselves, as well as the strong universal theme of family, is what makes this franchise what it is. I now reach the crux of this article. Any analysis of the record-breaking success of the seventh instalment in a fifteen-year old franchise cannot be considered thorough without the biggest shadow hanging over it. The death of Walker (in a car accident, no less) has jacked up interest levels in this film. It was incredibly unfortunate in many ways, for filming was only half-done at the time of his demise. Being a father only recently myself, I was more concerned how this impacted his friends and family, especially his 16-year old daughter Meadow Rain Walker. As such, ‘Furious 7’ was always going to attract a lot of attention for the reasons above; even without Paul Walker’s death, I suspect it would have made a lot of money. “Even with a mere year in-between installments and James Wan taking over for Justin Lin as director, there was little reason to presume that the seventh ‘Fast & Furious’ film wouldn’t be one of the bigger hits of that summer,” wrote Scott Mendelson for Forbes. While he did identify Walker’s death being key in elevating the profile of this film, I am absolutely sure the departure of his character Brian O’Conner is equally important in that respect. Let me explain. A few weeks after his death in November 2013, ‘The Hours’, a relatively low-budget effort with Walker in the lead role, was released. Given its timing, I would not have been surprised to see a significant bump in the film’s projected earnings. As it stands, the film did not cause much of a splash, making less than $800,000 worldwide (it did not even receive a theatrical release in the United States). Perhaps the producers feared that an immediate change in distribution strategy would lead to accusations of cashing in on his death. Fair enough. More significant was ‘Brick Mansions’. Produced by Europacorp using the ‘Taken’ template of filmmaking (pairing an established American star with largely-European talent in a marketable action flick), the film was Paul Walker’s final complete performance. Like ‘Furious 7’, it was also dedicated in his honour; his picture at the film’s end prompted my mother, with whom I had watched the film, to say, “Kesian dia.” Unlike ‘The Hours’, it received a fairly wide release, with over 2,500 theatres in its opening weekend, so I thought it would have been a good way for fans to share and express sympathetic sentiments similar to my mother’s. Alas, I was proven wrong. In the United States, ‘Brick Mansions’ made less than $10 million in its opening weekend, placing it fifth (the number one film of the weekend was the Cameron Diaz vehicle ‘The Other Woman’). It would eventually double that by the end of its theatrical run. Beyond American borders, it collected over $48 million, but the final tally of $69 million did not really set French hearts a flutter. Of course, there are other factors to be considered. Remaking a 10-year old French film was probably not the best way forward, and perhaps the fans wanted to say goodbye in their own ways (the ending of ‘Furious 7’ certainly tugged at my heartstrings). Furthermore, no numbers can actually measure the absence of a person in real terms, but the fact remains the reception for this film was an underwhelming one. Taken in that light, it makes me wonder whether the retirement of Brian O’Conner, as much as the death of Paul Walker, should figure in people’s analysis of the film’s success. 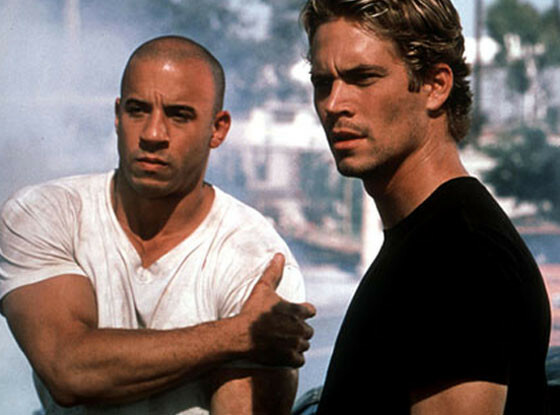 In tandem with Vin Diesel’s Dominic Toretto, it was a potent on-screen partnership, one that truly fired the films to box-office stratosphere. This is a chemistry that’s not to be taken lightly, for it tapped into the zeitgeist of the time. Lest we forget, ‘The Fast and the Furious’ defined an aspect of a generation, with the film’s subject matter sparking a greater interest in street racing. Looking back, it felt like the number of people knowledgeable (or at least appeared to be knowledgeable) about Japanese import cars mushroomed, with words such as Impreza and Evo thrown like confetti at a wedding (interestingly, Mitsubishi recently confirmed that the Evo is being put out to pasture soon). Beyond the films, games like ‘Need for Speed: Underground’, released five months after ‘2 Fast 2 Furious’, kept the wave going. In short, it made street racing so cool that the filmmakers felt it necessary to provide public service announcements, telling people not to mimic the actions on screen. Times change. So did the films and the characters, but their development and our interactions with them brings into view the relationship we have with our stars. Richard Dyer may have believed the star to be a constructed and artificial image, but we were the ones doing the construction, and a lot of the time we imbue them with aspects of characters they perform on a professional basis. We become attached to them primarily because of this. I don’t know as much about Paul the person. Beyond the movies, he has kept a relatively low profile; I wasn’t even initially aware he was a father. On the other hand, it’s a completely different story with Brian. We were there the first time he laid eyes on his future wife, and the first time he went on a date with her. We saw him grow from a young man who fought for acceptance, displaying all the faux machismo in the world with his “Dude, I almost had you”, to a father who contemplated the future with his son and wife. The star, the performer and the person becomes intertwined, and coupled with other factors, it made for an intoxicating experience. It is in this light that I believe while Walker is a performer who will be missed, equally the absence of O’Conner (who stood in for much of what we don’t know of Walker) is and will continue to be keenly felt. As an aside, the other lead actor of ‘Brick Mansions’ was David Belle. The Frenchman’s lack of fluency in English necessitated his voice to be dubbed by another actor. The man chosen for the act? 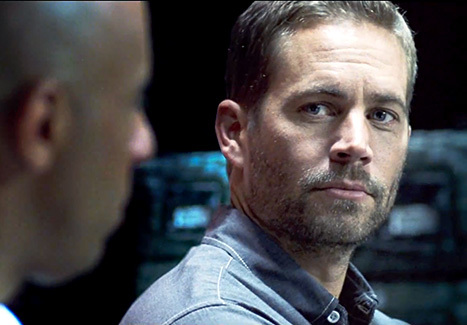 Vin Diesel, meaning that the final two films of Paul Walker’s career was impacted by the man who helped define it the most, both on and off the screen. In a way, it was strangely appropriate.